Palmetto Football Talk • View topic - DeCav's "Beast Unleashed"
Did you have someone airbrush the Marvin car in Dorman colors? I haven’t seen one in that color... cool. Check out PFT Beyond Sports “Muscle Car Era”. Paint shop pro. I can paint too though. Done some cool nerdy dungeons and dragons miniatures of course! I’ll post some pics later. Haha! I wonder if I could persuade the Mrs.
Hmmm. I’ll see what I can do on my end. Look what they have went and done. The 69′ Yenko Camaro of Modern Day. That is one Serious Beast! The Hemi has been a legend for many years, but that triple-carbed 440 engine had adopted a cult following of its own. A significant body change had been planned for the ’70 model, but that would be put off until the 1971 model year. The 1970 440 continued to be capable of 390 horsepower when equipped with the so-called Air Grabber induction system. 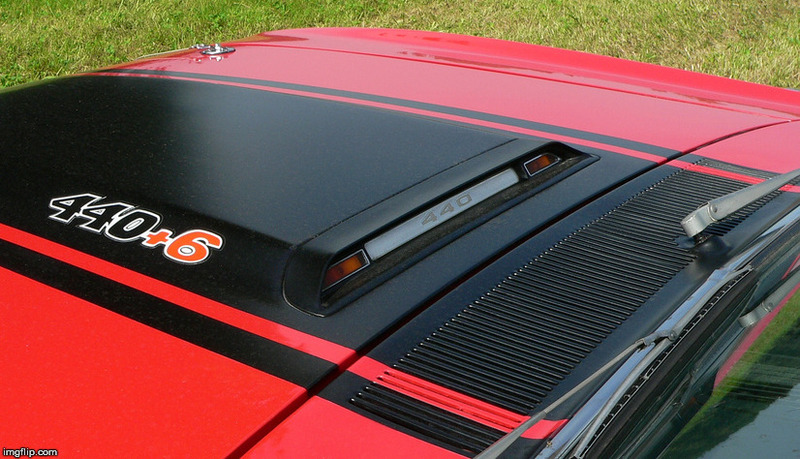 That interesting system provided a solid connection between the hood scoops and engine once the hood was closed. 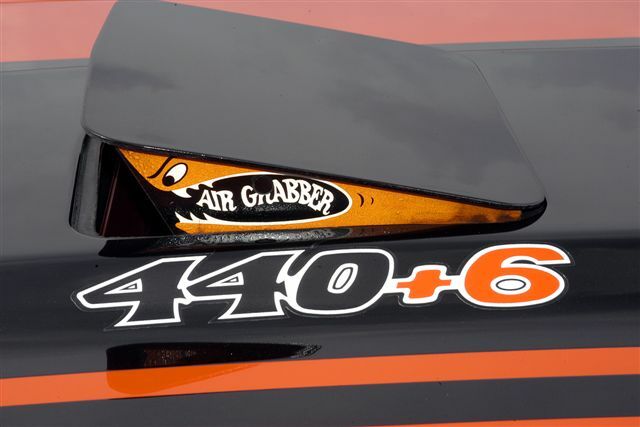 The sides of the pop-up Air Grabber door were eye-catching with evil-looking shark’s teeth etched on the sides. The front end was menacing-looking with the blackout grille containing twin headlights mounted in its ends. The agressive bumper contained a pair of round parking lights on either side of the license plate. When looking at the ’70 Road Runner, and comparing it with the other garnish MOPAR muscle machines of the era, it appeared downright stripped. Oh, there was a stripe and 440+6 lettering on the hood, but that was about it. About the only eye catcher was the simulated rear-fender-scoop cut-out. Some of the models did, however, have a dust trail that reached from near the front of the front fender and disappeared into that scoop. The only sizable name identification externally was the “Road Runner” lettering contained in a stripe located on the rear end of the car, just above the tail lights. As far as engine identification, in addition to the aforementioned 440+6 designations on the hood, there was also a “440″ in the rear of a hood bulge with turn signal indicators. With that famous name, the company made the most of it with a special horn to sound like that famous cartoon bird. The horn made the Road Runner ’Beep Beep’ sound which was unmistakable. I imagine Plymouth paid a royalty to Warner Brothers? I was warned this week that if I ever try to monetize my 7 yr old avatar, WB is gonna send a cease and desist letter immediately! Haha, at this point these surveys could hardly be described as a monetary boost to my income. If it’s anyone who deserves a cease and desist letter from WB it’s PFT itself for letting me post in the first place. I’m sure there is a club of PFT members who would co-sign such a letter! 1) Get in touch with 1CANNON’s brother Tommy ASAP! 3) Be prepared for a poster breakfast before football starts back. I can think of no meal I’ve eaten with posters that was not as fun and as entertaining as the board it’s self. Much like the board, if there’s enough people engaged, there’s about 4 conversations going on at once. Post Pics with details and Price or PM me them. Thanks.